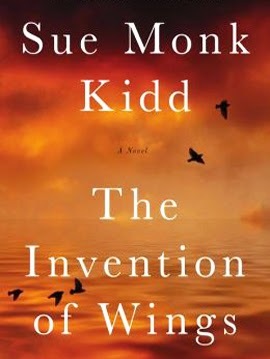 There has been significant buzz about The Invention Of Wings by Sue Monk Kidd. It is the story of two women, only one year apart in age, who find themselves bound together in the early 1800s. The first is Hetty "Handful." 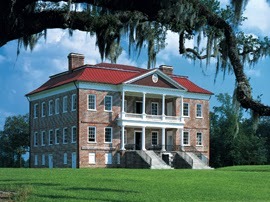 She is an urban slave who lives on the wealthy Grimké estate in Charleston. The second is Sarah Grimké, who is the eighth of fourteen children that make up a prosperous plantation family in South Carolina. The two of them are brought together on Sarah's eleventh birthday when Sarah is given ownership of the then 10-year-old Handful. Handful was born in slavery on the planation as the daughter of a talented seamstress. She is given to Sarah as a handmaid who will sleep in the hall outside Sarah's door and tend to every whim. Sarah takes no joy in having her own slave. Her first thought is to set Handful free. When her mother threatens to reclaim Handful as her own and give her harsher duties, Sarah retracts her wishes and looks for other ways to defy her parents. She gives Handful uncommon liberties and secretly teaches her to read. The Invention Of Wings is a caustic and claustrophobic imaging of history. Based in part on the real life story of Sarah Grimké, The Invention Of Wings chronicles the journey of an early abolitionist and feminist who emerged out of South Carolina. Handful is also based, in part, on a real slave that was given to Sarah. Kidd notes that the real Handful did not survive childhood, but the author's ability to imagine what might have happened had the slave matured is plausible. In many ways, the real story of Sarah is even more extraordinary than the fictional story. It is reasonably well documented. What Kidd does make clear is that Sarah becomes sensitive to the expectations and limitations placed on women as well as the morally reprehensible defense of slavery in America. In doing so, the author constructs a transposition of the two girls as they become women. As Handful is afforded more liberties along her costly and tragic path toward freedom, Sarah increasingly becomes a prisoner of her own convictions. And all the while, Kidd purposefully explores the paradoxical position of slavery from varied perspectives. From an individual point of view, she imagines that Sarah struggles to reconcile why additional liberties do not produce willful obedience and gratitude. On the societal scale, she details how slave owners make themselves prisoners to their way of life, always looking over their shoulders in fear of an uprising or convincing themselves that the pursuit of opulence must be matched by barbarism. 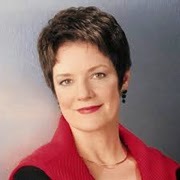 A couple of graphs about Sue Monk Kidd. After graduating from Texas Christina University with a degree in nursing, Kidd worked as a registered nurse and college instructor. While attending a writing class, she wrote a personal essay called Guideposts. It would eventually be reprinted by Reader's Digest. Later, she would write her first novel. Since, The Secret Life Of Bees (2002) and The Mermaid Chair (2005) have both received critical acclaim and have also been adapted into screenplays. While she has published other books since then, The Invention Of Wings is her first substantial novel in years. The Invention Of Wings Flies To 6.2 On The Liquid Hip Richter Scale. At the hands of Kidd, The Invention Of Wings is a remarkable story, told from the alternating perspectives of two distinct voices. If there are shortcomings, it is mostly the handling of a conclusion that reads less like it is racing toward a climatic resolution and more like a protracted postscript that fades into the background. By most accounts, the original is better than the book club version. You can find The Invention of Wings: A Novel by Sue Monk Kidd on Amazon. You can also download the novel from iBooks or order a printed edition from Barnes & Noble. The audiobook is available from iTunes and is narrated by Jenna Lamia and Adepero Oduye. The two narrators add even more distinction to each woman's point of view.